In today’s fast paced world we can too easily miss the truly meaningful events of life. 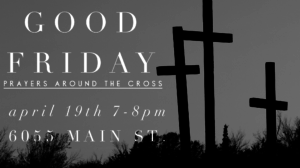 Join us as we pause to reflect with Jesus about His death on the cross. A time to connect with the One who loves you deeply, a time to approach the cross, a time to linger, a time to be still, a time to be made whole. 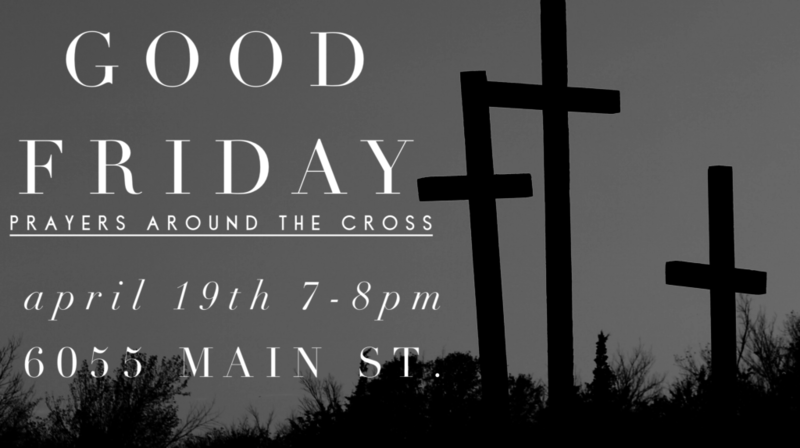 Friday April 19th | 7-8PM | 6055 Main St.